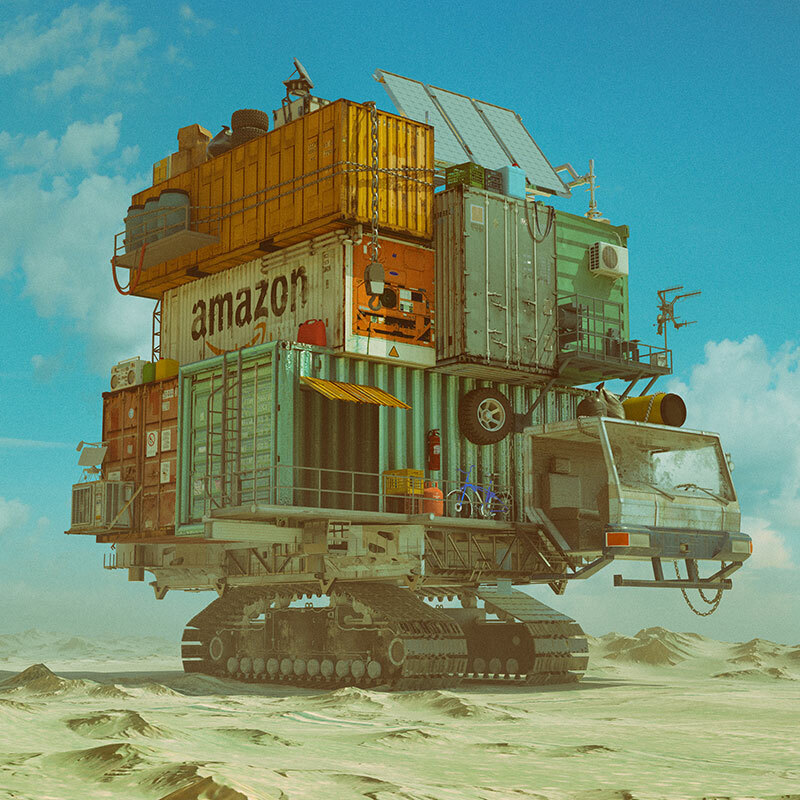 Dystopian illustrations of tech giants far into the future by Charleston-based graphic designer Mike Winkelmann. All the images originated as part of his ongoing project for over ten years of doing an illustration everyday. 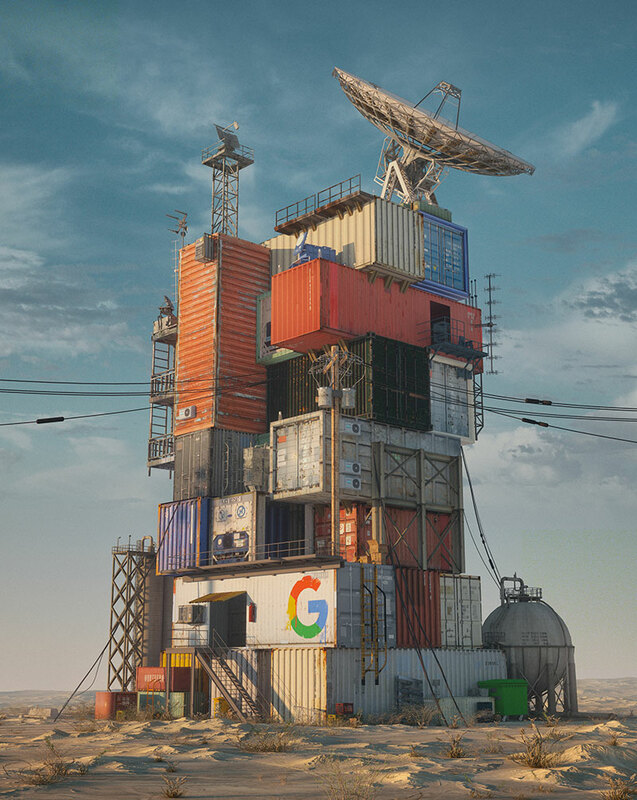 This series shows the tech companies reduced to a few shipping containers either in motion, floating or standing still. 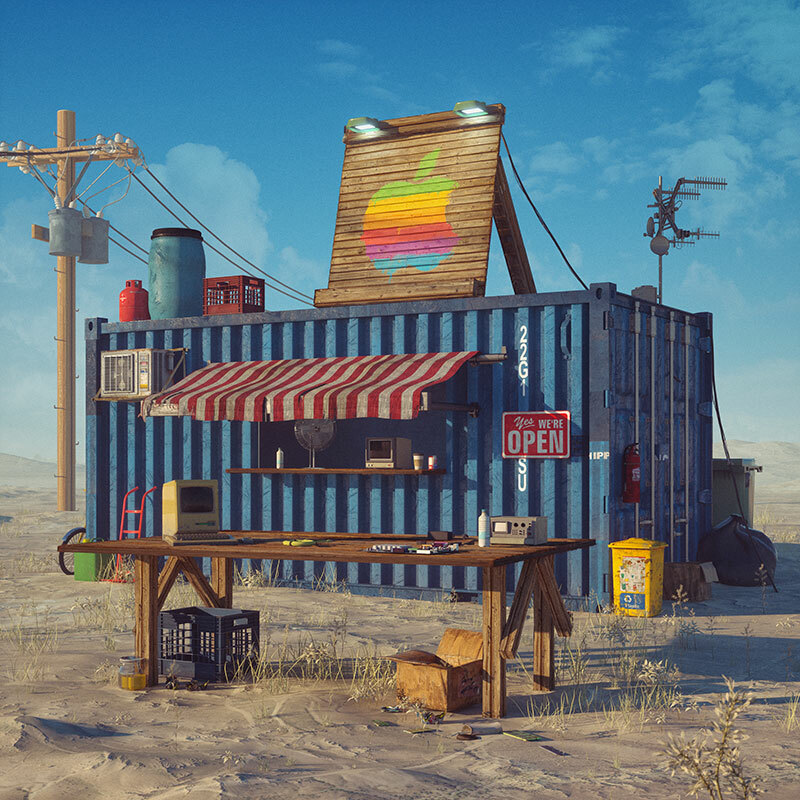 Apple's Genius Bar is now just a single container converted to a storefront while Google's data center is a stack of containers that is somehow still functioning. 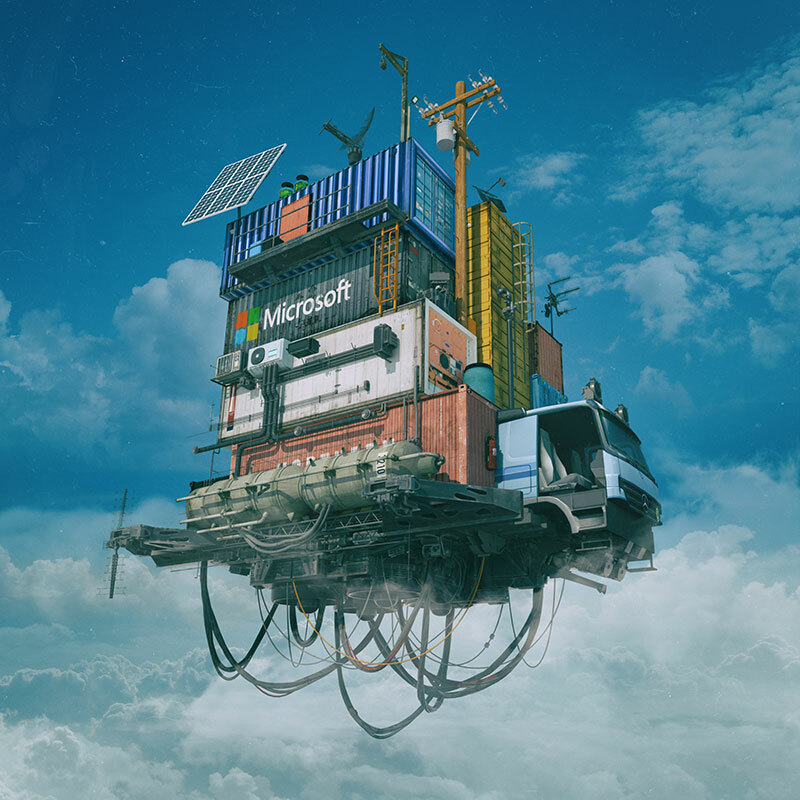 See more of Mike Winkelmann's work on Behance or on Instagram. 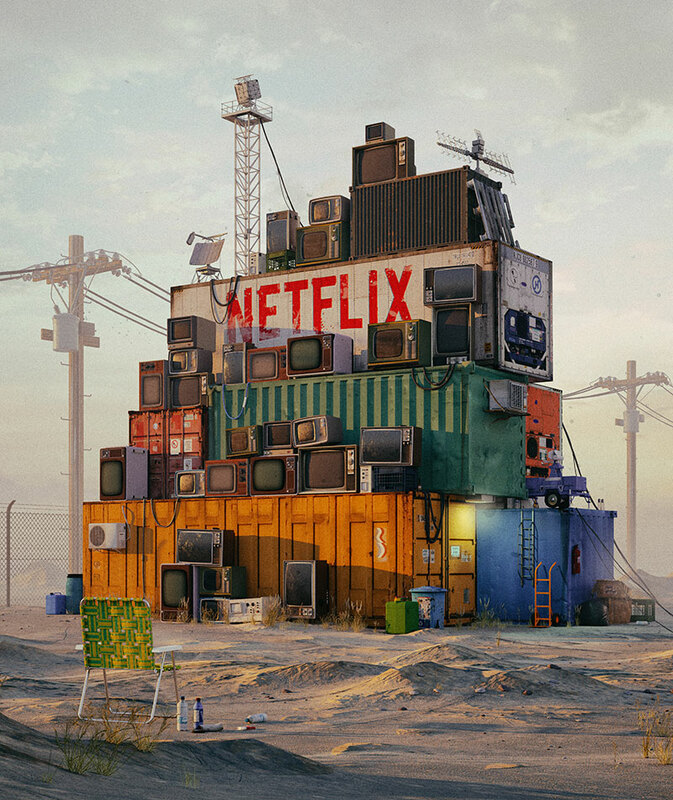 Dystopian illustrations of tech giants far into the future by Charleston-based graphic designer Mike Winkelmann.